Whether you’re feeling pain due to a recent injury or you’ve suffered with pain for months or years you can now get relief. Using a series of safe, pain-free adjustments by a chiropractor in our Kent, WA clinic, combined with stretching, heat or ice you can be feeling better soon and enjoy your life again. It’s convenient, too. 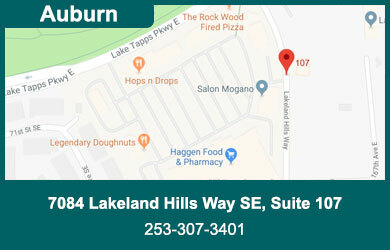 A typical visit to our Kent East Hill, WA clinic (near Covington and Auburn) takes just 20 minutes. Learn more about chiropractor services or make an appointment for our Kent chiropractor clinic. Seek treatment promptly to shorten your recovery time, especially when your pain is due to an accident or injury. Pain rarely goes away without treatment, instead, scar tissue may form, which can slow or impair proper healing. Your body may naturally try to compensate for your injury; this can cause additional strain or injury. 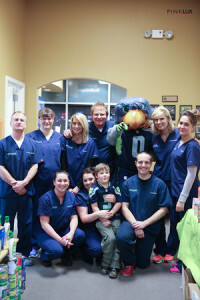 Our Kent chiropractic clinic is convenient to Covington and Auburn. Our chiropractors look forward to helping you feel well again. Have you suffered from pain for months or years? Have you tried so many remedies that you feel like giving up? Ninety-five percent of our new patients who’ve “tried everything” feel better after receiving chiropractic treatment. During your treatment you’ll learn from your chiropractor how to avoid re-injury, plus learn how to strengthen your body for optimal long term health. Treatment by an experienced chiropractor is an excellent tool for steadily improving your health to feel better, add years to your life and manage stress or illness.